The power module is designed for the Raspberry Pi 3 Model B specially, allowing the master board to work offline for up to 9 hours. 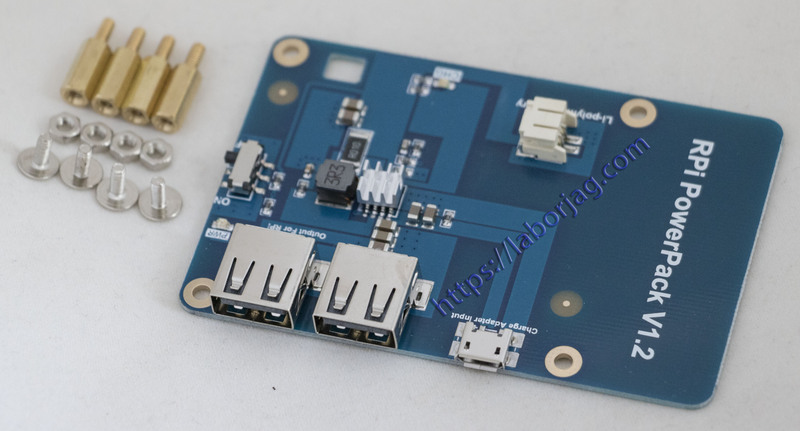 It’s not only supplying for Raspberry Pi; this board has 2 USB type-A ports – one supplies power for the Raspberry Pi and the other for the embedded LCD screen. It is unsafe to have battery on transmit, so the product will not contain it, thanks!